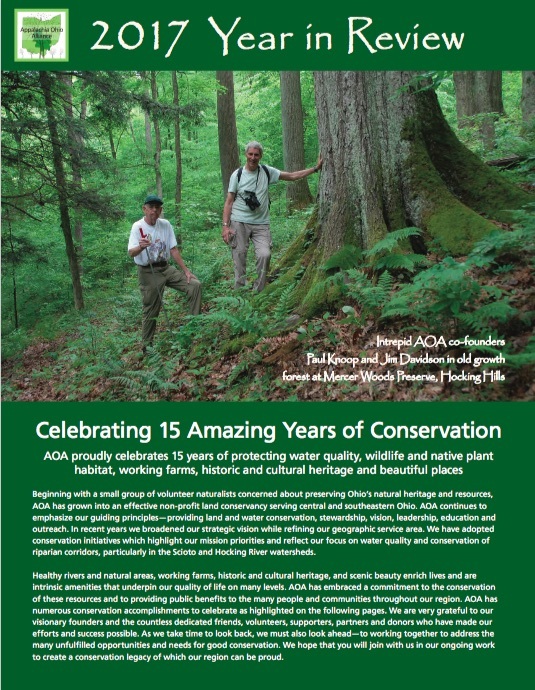 AOA has collaborated with United Plant Savers (UpS) to conserve the Goldenseal Botanical Sanctuary in Meigs County. Utilizing Clean Ohio Fund grant monies in combination with UpS match contributions, AOA was able to purchase a conservation easement that will permanently protect nearly 300 acres. This action will insure that a phenomenal population of goldenseal and numerous other native medicinal species which live on the property and are critical to the UpS mission are protected in perpetuity. Formed in 1994, United Plant Savers is a nationwide non-profit based in Ohio. UpS is dedicated to protecting and repopulating at-risk native medicinal plant species in their native habitats throughout the United States and Canada. They are devoted to ensuring an abundant and renewable supply of native medicinal herbs while raising public awareness of their plight. 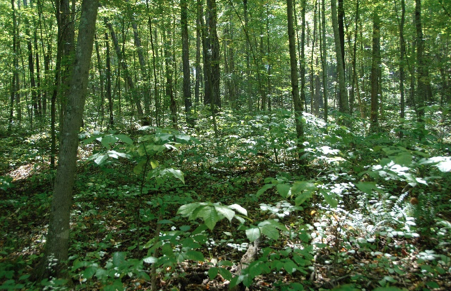 The Goldenseal Botanical Sanctuary in Meigs County is the flagship UpS property and serves as the national headquarters. It is the central focal point of the UpS mission which highlights their native medicinal plant conservation, education and outreach activities. United Plant Savers purchased the property in 1998 to establish the first botanical sanctuary for the sole purpose of creating a safe haven for native medicinal plants. The Goldenseal Botanical Sanctuary has become the inspiration and model for a network of independent botanical sanctuaries created and stewarded with UpS guidance. AOA’s Conservation Demonstration Site in Rockbridge has been designated a botanical sanctuary by UpS. 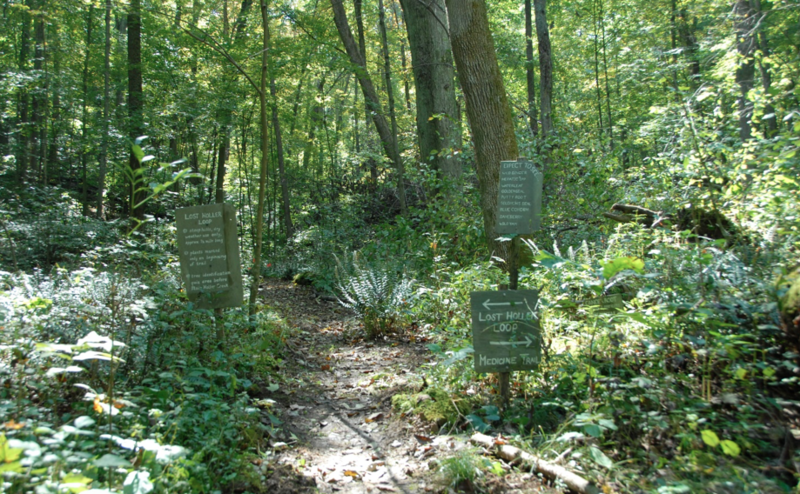 Nestled in the unglaciated Appalachian foothills of southeastern Ohio, the Goldenseal Botanical Sanctuary is home to over 500 medicinal plants growing in abundance. Traditional American medicinal herbs, such as American ginseng, goldenseal, blue and black cohosh, and bloodroot, blanket the forest floor in vigorous health. The preserve is intended to provide a place where people can enjoy and learn from the plants found here in their native habitat, without disturbing them. This is the first use of a conservation easement for the sole purpose of protecting land for the education and research of native medicinal plants. United Plant Savers hopes that this will establish a precedent for the protection of additional sanctuaries including many sites participating in their Botanical Sanctuaries Network. The herbal movement and demand for native medicinals is on the rise. Many of the most desirable species have become scarce. Native medicinal plants are highly valued by the medical and health and beauty care sectors. Legal harvesting has a significant economic impact on local communities. UpS receives support from corporate sponsors who utilize native medicinal herbs in their products. Demand is outstripping supply for many of our native medicinal plants which are in decline due to over harvesting. United Plant Savers is leading efforts to promote the conservation and sustainable harvesting of native medicinals. The UpS Botanical Sanctuary Network is unique in its focus on protecting habitat for native medicinal plants throughout North America. AOA is very excited to be working with United Plants Savers and supports their efforts to conserve and repopulate our native medicinal species. UpS has been collaborating with AOA to help repopulate native medicinal plants at the AOA Demonstration Site in Hocking County. Please visit the United Plant Savers website to learn more about their mission – http://www.unitedplantsavers.org.